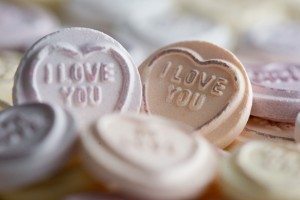 I wrote a Valentine’s Day Insight two weeks ago (titled, What Works for You Two). In it I told how we were going to celebrate it as a married couple. We followed through and did just what we planned. And it actually went even better than we had hoped. The activities were low-key. We wanted the emphasis to be on just being together in an intentional way without a lot of distractions. As the day drew to a close we both remarked how thoroughly enjoyable it was to spend the day, as we did. It was a simple but a fun time. We then went home, and together we cooked a delicious meal, ate it joyfully, took a nap :) and played games. Our whole day was filled with talking, laughing, and thoroughly enjoying the fun time spent with one another. This was all done without media, other than romantic music. To some people this may seem dull and uneventful. But to us, it was exactly what we needed and wanted. When our sons were younger, we spent time with them having fun earlier in the day. And then we found/made the time to spend it as just a couple in the evening. It’s important to do both —to enjoy the family God has given you, but also enjoy just being a married partners. As I recall the “couple” time we spent on Sunday, I’m reminded of a few quotes that we’ve posted on Facebook. They sum up a lot of what we did and have done that might inspire you too. Here’s a question, and then thoughts afterward for you to consider. “Be intentional. Love the one you’re with. Don’t allow technology to grab your attention away from your spouse in ways that are intrusive to your marriage partnership. “Thanks to cell phones, we can always reach out and touch someone. But, is that touch a caress or a slap? When we need them, cell phones can literally be a lifesaver. At other times, they create an unwelcome interruption” (Lynn Jordan). We hope that you will plan fun times that are as elaborate or as simple as you both desire. What’s most important is that you DO carve out the time to be together. Make sure you laugh and grow fun memories that will continue to give you warm feelings about each other. Love doesn’t do well growing on a starvation diet. It needs your attention pointed towards each other in positive ways. That way it keeps growing rather than starving to death. Hi, I’m a single blogger and I blog about whatever, anything, and everything. I call my blog living the post-it life because of my brain injury and the fact that most of us have to write everything down anyway and I’m constantly forgetting stuff. I have loved and lost and I don’t know where I’m supposed to be on that journey. One person has moved on and never acknowledged anything and the other will never be, unfortunately. I knew that we would never be married and never be able to have a family so we can’t even just be good friends, in between good friends and like dating with intent. My message is people with differences physically deserve to be loved and express love just like everyone else.